A directed-energy weapon can be set on overload and left to explode like a bomb. Plays on any ship or Away Team. 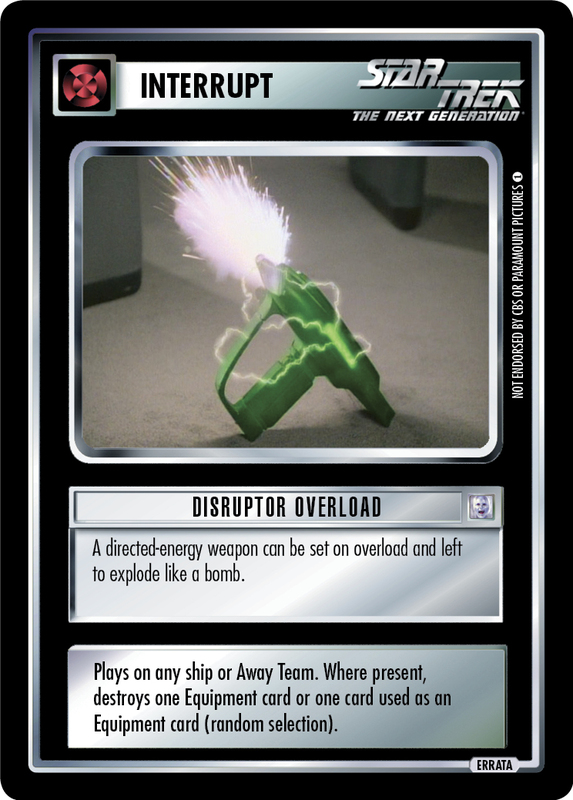 Where present, destroys one Equipment card or one card used as an Equipment card (random selection). Image Source: The Next Generation: "The Next Phase"